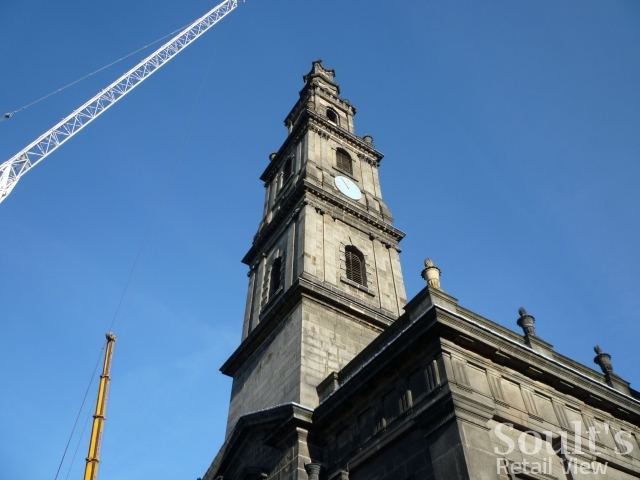 During my recent visit to Leeds city centre, one of the most visible retail developments was the ongoing construction work for Trinity Leeds, with cranes towering over the adjacent 18th century church that gives the new shopping scheme its name. 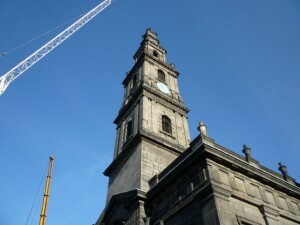 After a one-year hiatus caused by the economic downturn, work on Trinity Leeds recommenced last summer, and the development is due to open in spring 2013. For the most part, Trinity Leeds’ anchors seem to be revamped versions of stores that already exist on site, including M&S, Boots, BHS and H&M. However, it promises to bring some ‘wow factor’ to the currently dreary pedestrian routes around Albion Street, as well as making space, Eldon Square-style, for the obligatory Apple Store, Hollister and Superdry among its 120 shops. 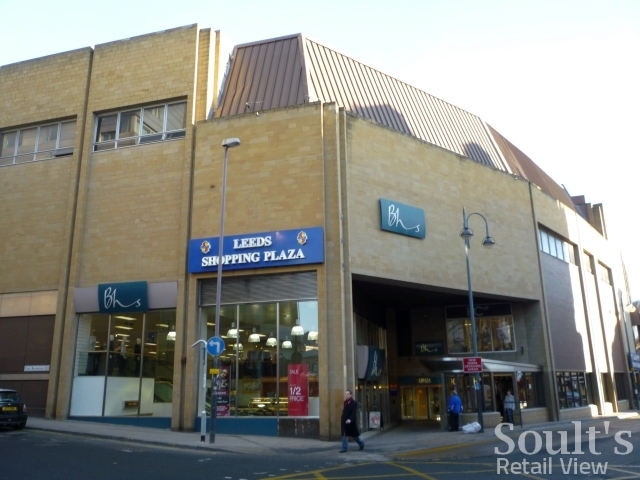 Arguably the project’s most welcome feature is that it includes a full revamp of the existing Leeds Shopping Plaza, aiming to transform a shopping centre that is currently dated and cheerless. 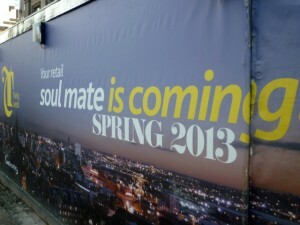 Though building work is still at a very early stage, colourful hoardings around the edges of the site – bordered by Briggate, Boar Lane, Lower Basinghall Street and Commercial Street – bear the Trinity Leeds logo and the message “Your retail soulmate is coming”, ensuring that there’s no excuse for not knowing what’s happening. 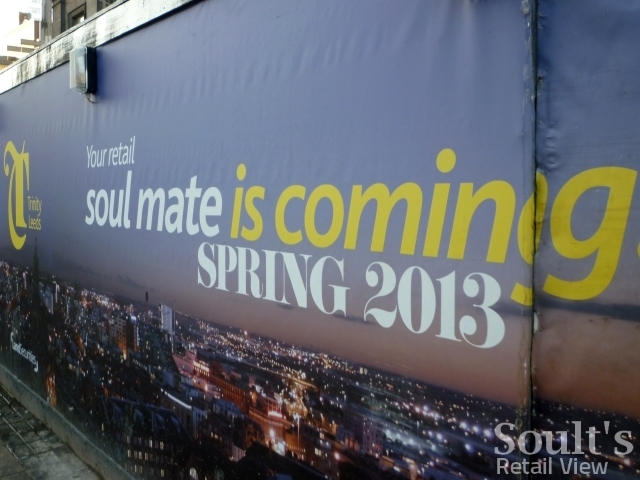 However, I was amused to overhear one passerby asking her friend “What’s Soulmate?” – a gentle reminder, perhaps, that marketing slogans may sometimes be too oblique for their own good. 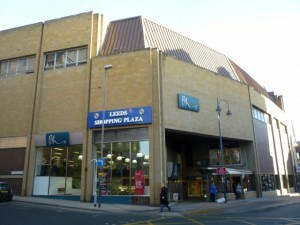 As Sandersons opens in Sheffield, what should a successful independent department store look like?